This will clear all the bullet decals and blood from the walls when performing these actions. 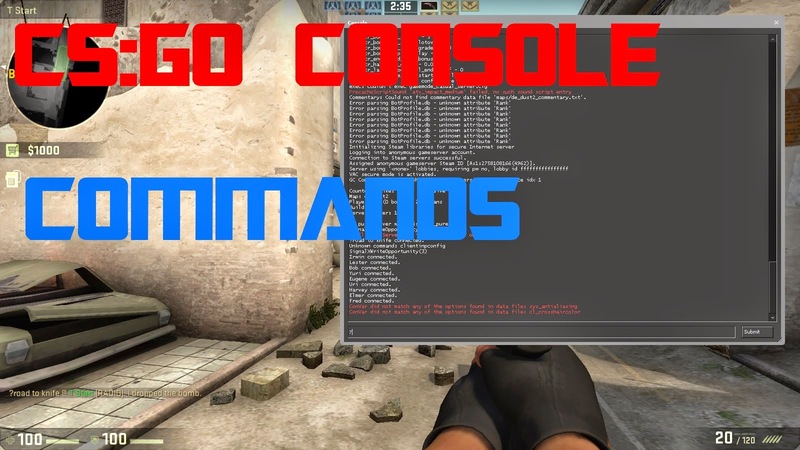 Some client console commands that have been said to improve FPS. Instead of always having netgraph on my screen I have it only show up when I hit tab. Binding -/= to decrease/increase volume. bind "-" "incrementvar volume 0 1 -0.025"
bind "=" "incrementvar volume 0 1 0.025"
Mouse4 to toggle between primary and secondary weapon. alias rotate1 "slot1; bind mouse4 rotate2"
alias rotate2 "slot2; bind mouse4 rotate1"
alias resetrotate "bind mouse4 rotate1"
bind "v" "use weapon_knife;use weapon_flashbang"
bind "g" "use weapon_knife;use weapon_hegrenade"
bind "c" "use weapon_knife;use weapon_smokegrenade"
Show only damage info in console while keeping the ---- formating. con_filter_text "-" instead of the commonly used *con_filter_text "damage"
You might want to use voice_scale instead of voice_enable to help remind you to toggle back on. alias activateClutchMode "voice_enable 0; say_team Call-out period is over. VOICE/CHAT OFF; ignoremsg; ignoremsg; bind mouse5 deactivateClutchMode"
alias deactivateClutchMode "voice_enable 1; say_team VOICE/CHAT ON; ignoremsg; bind mouse5 activateClutchMode "